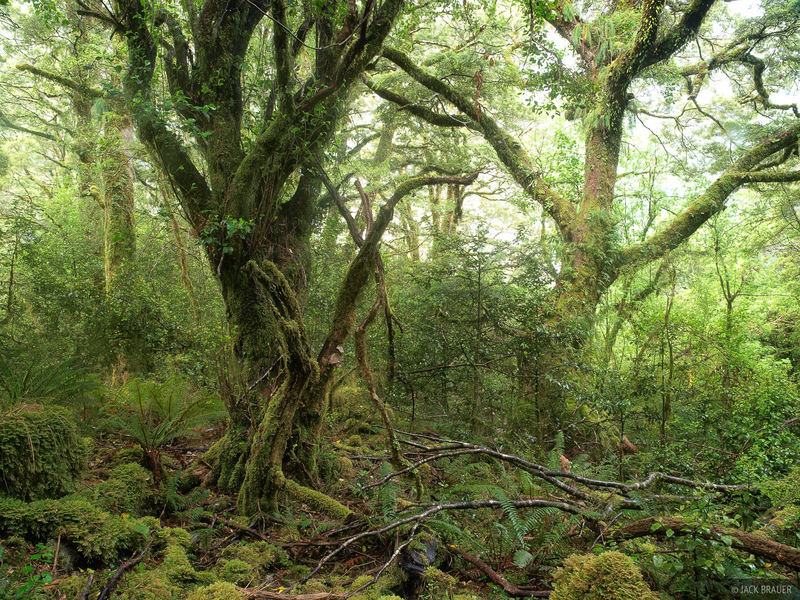 Over the last four days in late November/early December I’ve been hiking the Milford Track, perhaps the most famous of New Zealand’s Great Walks. This walk belongs in its own class of Awesome, and all the other “Great Walks” I’ve been on should be renamed merely “Good Walks” in comparison. This is truly a world class hike! Waterfalls pour off the mountains along the Clinton River on the Milford Track. I was fortunate to head up this valley when it was raining enough to form all these waterfalls, but not so much that it flooded the trail or made things too miserable. No, I was just in awe of these stunning mountains, hardly able to walk as I kept gazing upwards. 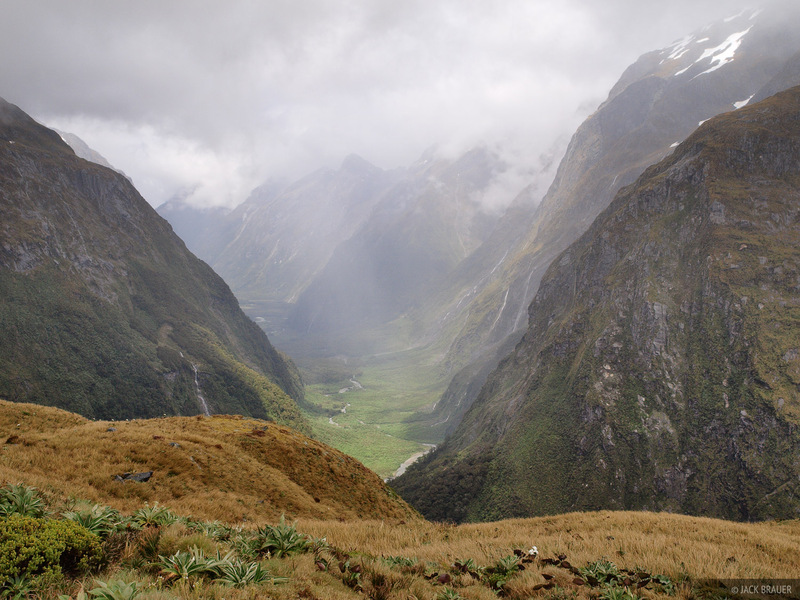 Looking down Clinton Canyon from Mackinnon Pass along the Milford Track. Day 2 passed over a very narrow and improbable mountain pass. I left the hut at 4am, with slight hopes of sunrise light up on the pass. That was not to be, but on the way up in the dark, I was fortunate to see a kiwi! These flightless birds only come out at night and are very rare to see in the wild. It was a little one, about the size and shape of a cantaloupe, and it had the distintive long beak and a fuzzy coat that looked more like long cat fur than feathers. The kiwi was right on the trail and it scampered away and hid under a fern before I could get my camera out. I wished I could have taken a photo, but I did not want to molest it too much in the process, so I let it be and kept hiking on. The weather was crap on the pass – wet blowing mist. I waited up there for a long time in the shelter on the pass and the weather just got worse, turning into full on blowing rain. But the forecast called for early rain, easing later, so I figured I’d be patient and wait it out. While I was up there all 40 of my fellow trampers came and went, too impatient to wait for better weather. They all hiked up, over, and down the pass in miserable weather with no views. Shame… Around 4pm the clouds lifted up above the peaks, with the rain only coming in brief waves. After a good round of shooting the jagged peaks in shifting light and mist, I made my way down the pass with some of most incredible views imaginable. Again, just absorbed in total awe of these mystical mountains. The jagged peak of Mt. 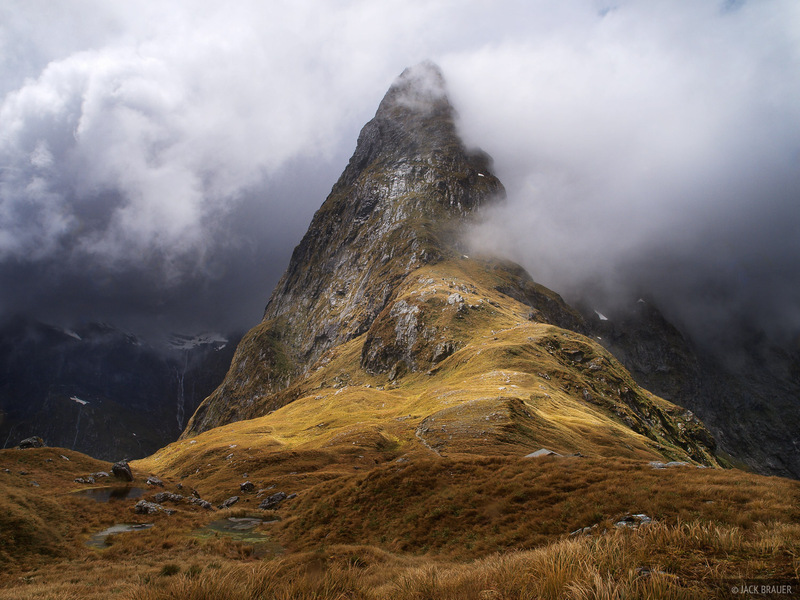 Balloon cuts through the clouds on Mackinnon Pass, the high point of the Milford Track, New Zealand's most famous mountain tramp. A weka bird on Mackinnon Pass along the Milford Track. 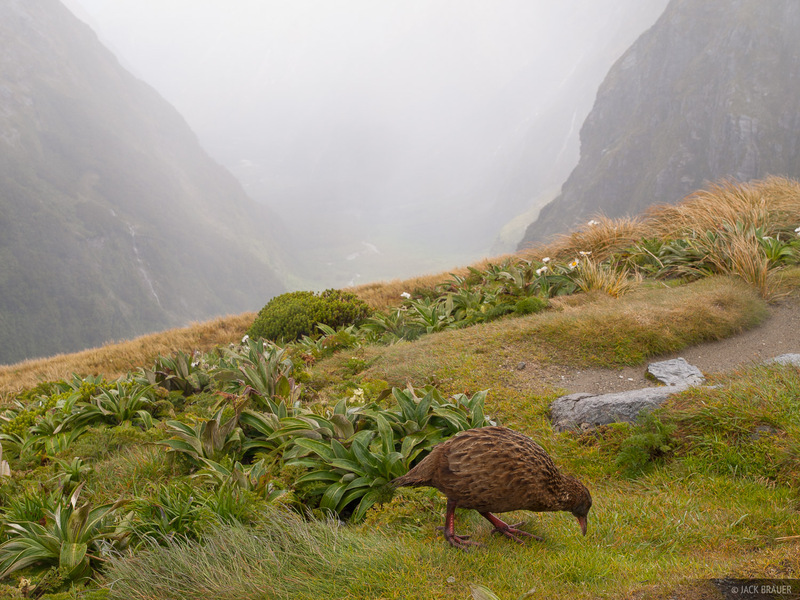 In New Zealand there were no endemic predators so most of the native birds evolved to be flightless! Sutherland Falls, along the Milford Track, drop 580m (1904 ft.), making them one of the tallest waterfalls in New Zealand. 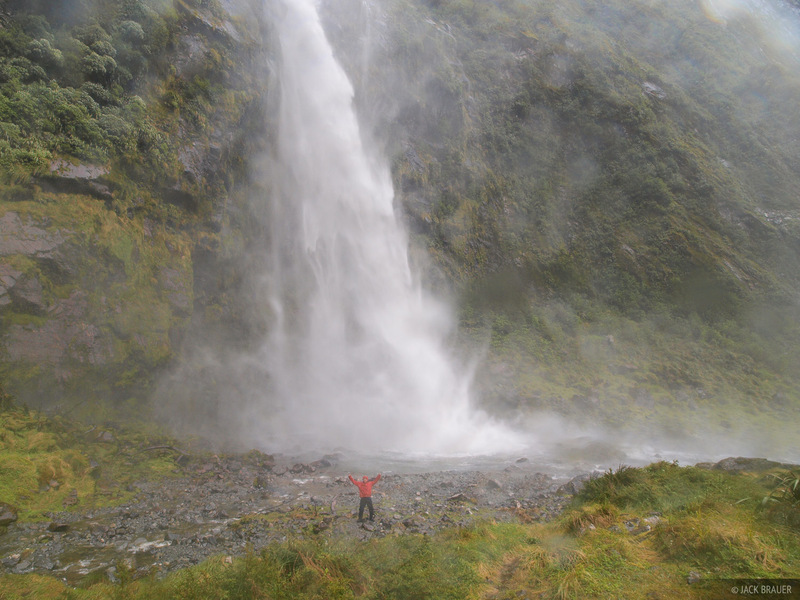 On the way down I did a side trip to Sutherland Falls – the tallest waterfall in New Zealand at about 600 meters tall. The picture above is me getting blasted by the wind and mist generated by the force of the water. My camera was soaked by this time, but seems to be taking it like a champ. Day 3 was pretty much miserable, just hiking out a long valley under total downpour. 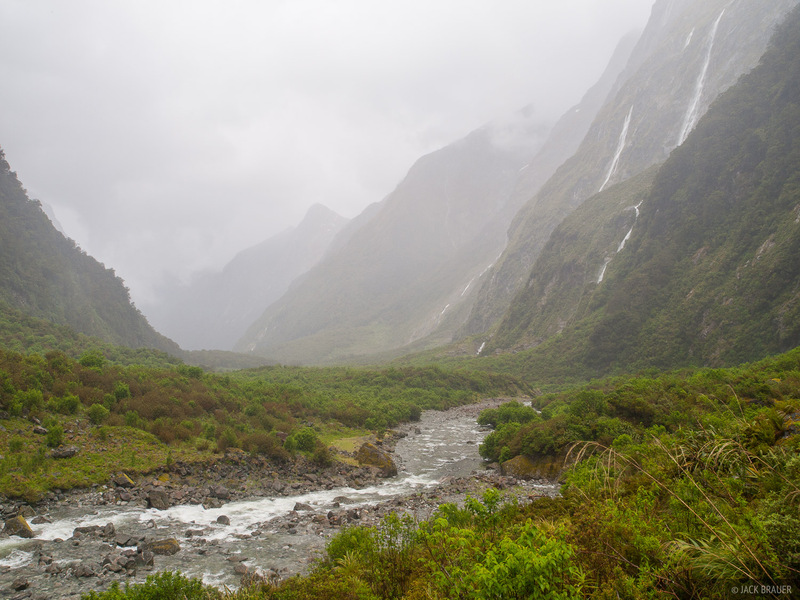 The track ends at Milford Sound, which of course is absolutely spectacular, with peaks soaring 6,000 feet straight out of the fiord. So, the Milford Track was a fitting grand finale tramp after almost 7 weeks of tramping in the mountains of the South Island of New Zealand. 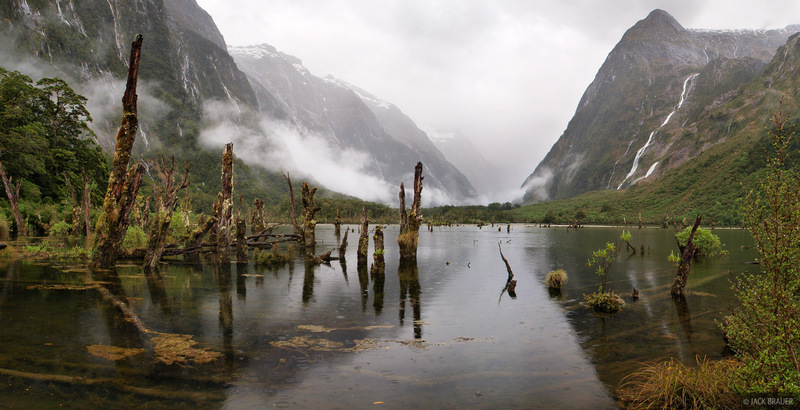 I would tell anybody that if they only had time to do one thing in New Zealand, do the Milford Track. If you have lots of time, do it twice.